And now we have 5 Bollywood celebrities that have travelled so much that it amazes us. Let me drop a fun fact for you guys, Nargis Fakhri only joined the glamour world so that she could travel. 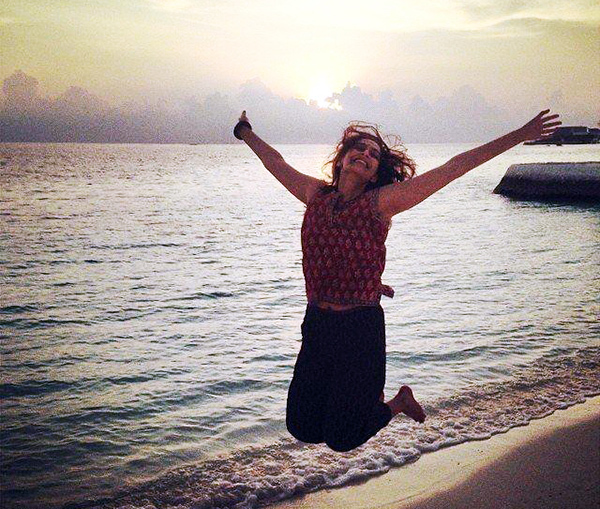 She says acting isn’t her life, travelling and exploring new places is. Nargis loves to meet new places. After doing back to back films, she wants to slow down and chill. Eat their cuisine, sunbath on Greek islands to what not. I wonder what this lady hasn’t done? She is a licensed pilot, actress, model, fitness freak to a voice over assistant. She has done it all. She is known as the lady that has married travelling. From attending festivals in the North East to biking in Leh with her then boyfriend. Gul Panag loves eating at Dhaba’s and experiencing life to the fullest. Recently in an interview, she said she loved Finland, as it offered her skiing, snow biking and snowboarding. A beauty and fashion icon in the Bollywood industry. Sonam Kapoor combines two really important genres – Fashion and Travel! She makes travelling fashionably with her uber cool outfits. 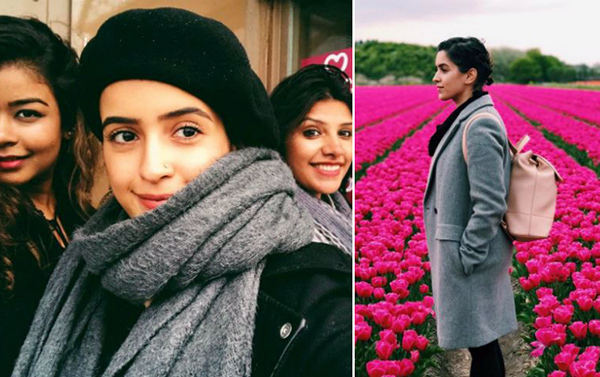 Sonam really does know how to make us envious of her best candid pictures in Switzerland. She even makes an effort looking great at the airport. Sorry, Sonam we draw the line here. she really makes you appreciate life and how you should do the small things with your parents. You never know how happy it makes them. Europe is the perfect hub for legit travel and fashion bloggers. Sanya Malhotra, recent trip to Europe really makes you question us, what are you doing in life? Sanya recently undertook this “Euro Trip” with her best friends. She further adds that this has been on her mind for eternity. She went to Amsterdam, Prague to what not. Do you love travelling too? I think acting is the right career for you then.